What connection does BMX racing bronze medalist Jill Kintner have to Cleveland? 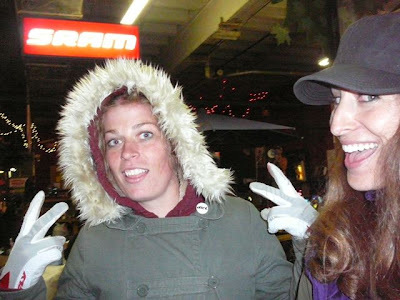 She gave us a "what's up" via e-mail from Beijing, just a few days before winning the bronze medal last night in the women's BMX racing final. Here's the scoop. So my husband, Jerry, was happy to see BMX in the Olympics, as he raced BMX back in the day ("day"=early 1980s). He and his buddy Ed were way into it. When the Olympics started, Jerry went online for more information about the BMX event and the racers. Imagine his surprise to be on Jill Kintner's website and suddenly see a picture of his friend Ed flash by. 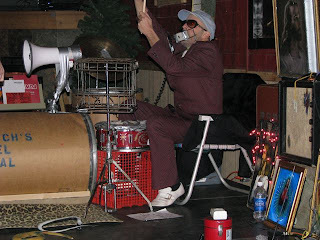 Did I mention Ed is now Brother Ed, of Uncle Scratch's Gospel Revival, the Cleveland rockabilly band with the motto "kickin' the devil in the balls since 2001"? Jill's bronze medal is a testimony to hard work, devotion to cycling, and a tribute to her deceased father. Or, as Brother Ed would say, Lord Almighty! Jill valiantly triumphed over infernal Satan with an evil-baiting righteousness!